Hope this is still standing tomorrow. They've only just started restoring it. Yes, just seen it on the news, tragedy. Cutty Sark over again? Yes its a blooming shame. I love old buildings. Hope they sort it soon. There was a major fire at York minster in the early eighties most of us will vividly remember ( Except thet schoolboy The biscuits ) 😊 and that was repaired to a great standard. I blame brexit. The french will. I bet it's rebuilt before Grenfell. Just had a peek at the Beeb to see what was happening, that is just heartbreaking, it must be soul destroying for the People of France. To our friends in France I am so sorry I hope she can be saved. Reminds me of the Windsor Castle fire. Spectacularly impressive to have seen in real life and equally hard to believe. Looking at Sky News it looks like it will be a total loss of the cathedral. No news of The Hunchback yet? shame ... what a lovely building, sitting on its own island in the middle of a great city. He said he'd give them a bell if he needed them. Looks horrendous, you just don’t expect this to happen to iconic buildings. Very sad. But Grenfell trumps the lot of them, obvs. Did the alarms start the fires then? Twice! Was lucky to visit it a couple of months before the first fire and saw the library in its original state. Very sad to see any great building lost like this. Even rebuilt they are never the same. 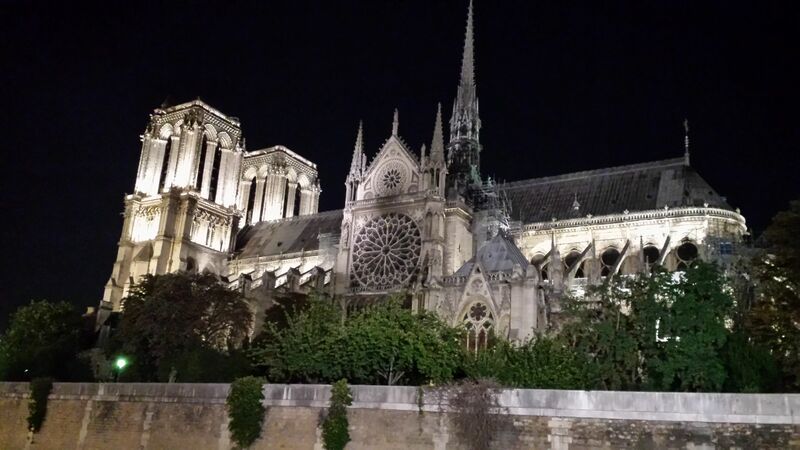 Hope Notre Dame isn't as bad as it looks, but it does look very bad right now. On the one hand it is sad to see the loss of a great work of architecture, on the other hand it is the disappearance of a structure built by the sweat of lots of poor people who should never have been duped into paying for it, and occupied by men of dubious character. Now, where is that bunker?